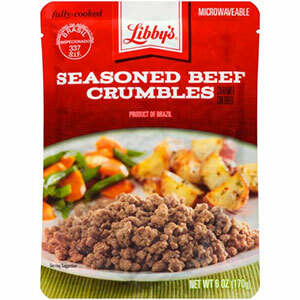 While technically qualifying as food, Libby's Seasoned Beef Crumbles is a pre-cooked meat product more closely associated with canned catfood. The odor is "unique." The flavor is abhorrent. What we were unable to record was our hiking partner, MuhKeeTah's reaction to this product. When we handed the bag to him, he took a whiff and shouted, "Ugh! It smells like dog food!" 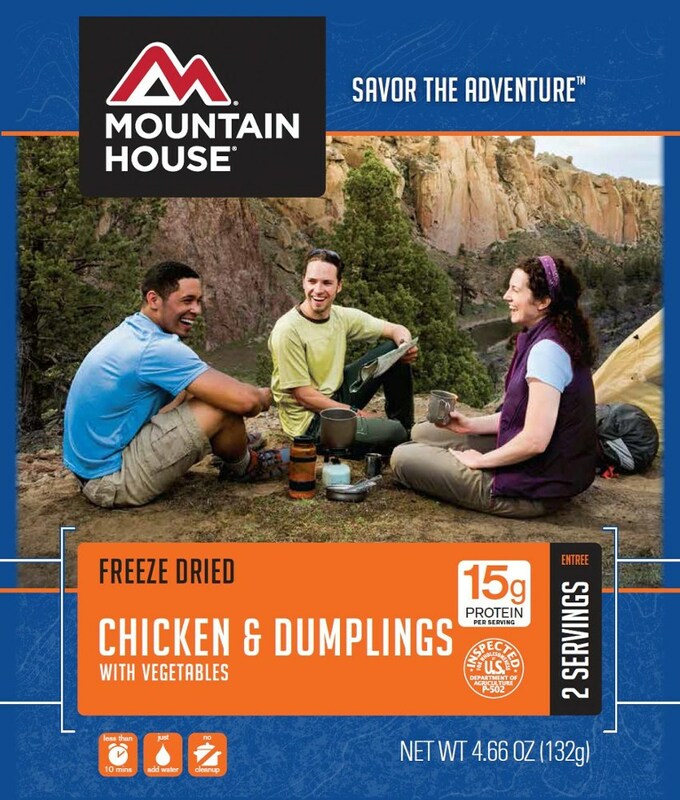 For the love of all things good, DO NOT TAKE THIS PRODUCT WITH YOU INTO THE BACKCOUNTRY or you may starve to death. I'm feeling a little sick. Are you sure Carrie is your friend? Ok, I've finally stopped laughing enough to finish the video. (Actually, we had internet problems.) I'm sorry, Goose. I had anticipated a more useful product... Sorry. Wow, really sorry. SO, SO sorry. :D Thanks, Carrie. Looking forward to the next guinea pig testing you have for me! Don't feed your kids this stuff! My son and I actually like the beef crumbles. Though we never eat it by itself. Carrie sounds awesome! Where do you live?—I'd like to send my kids to her survival classes (they're also homeschooled). My question is why one would buy a product like this when making your own is so simple and totally tasty! 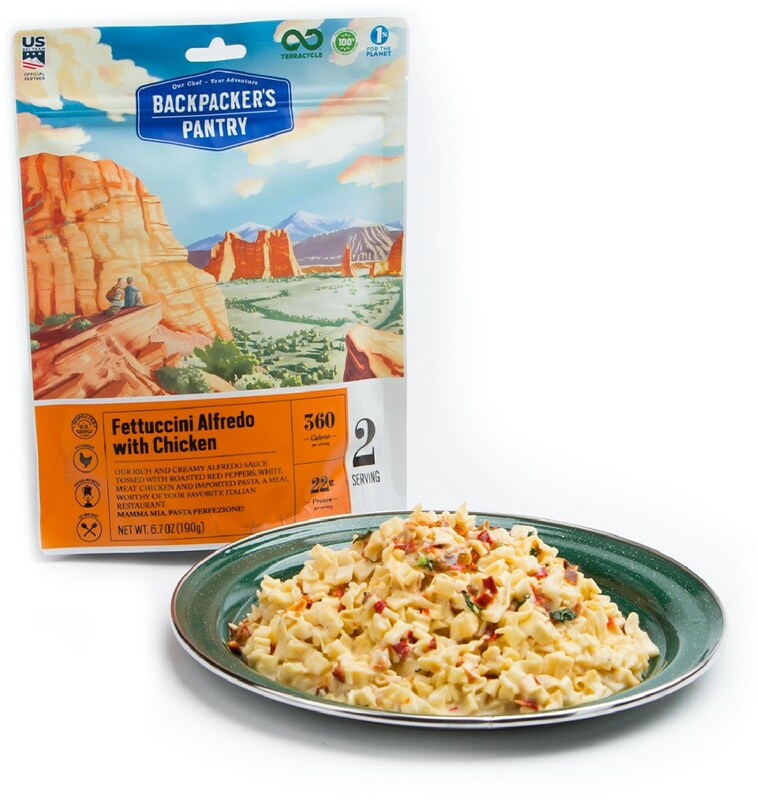 Add some bulk purchase instant mashed potatoes and you've got a pretty hearty meal in the backcountry. Or anywhere else really. Simple to make your own dehydrated beef? I think the appeal is time savings. The buyer may not realized how much quality they're losing. We're so used to making this trade-off in so many parts of our lives that we don't realize what we're losing across the board. 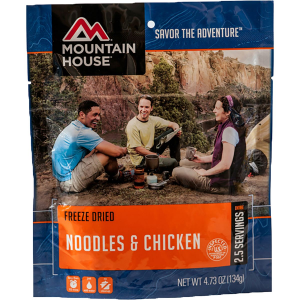 Hiked an eighty-mile mountain trail earlier this spring (nine days because I got rained in for a couple) and took two packages of this product with me, FANTASTIC! 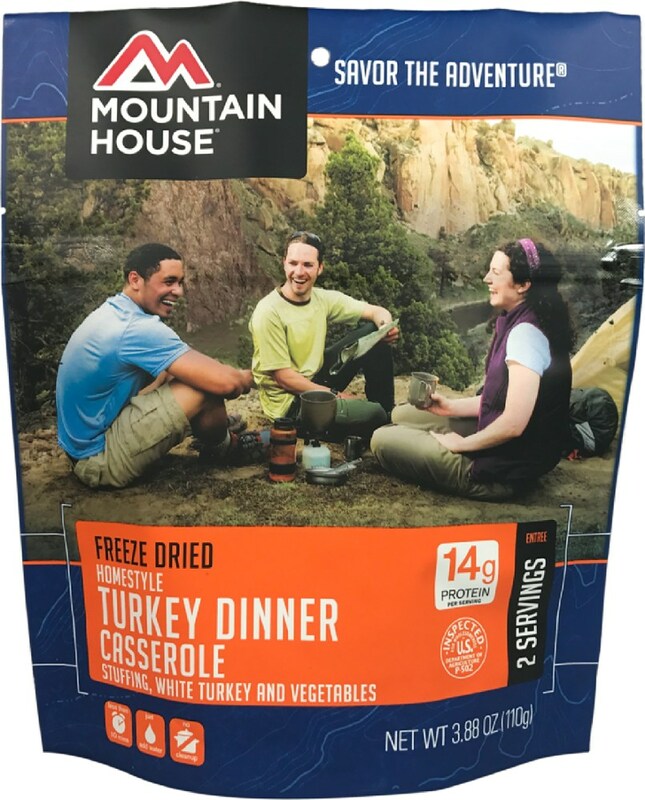 Adds variety to your meal-packing smorgasbord, you can just open and consume straight from the package (inside the tent) when it is raining and you can't fire up your stove, and, to me, it is very flavorful. Perfect packing food. Excellent flavor. Great shelf-life. Easy to consume. Precooked. FANTASTIC! Welcome to Trailspace, Stephen. Thanks for letting us know what you thought of the beef crumbles. Unlike the reviewer who gave this product a single-star, I found this product to be good and consistent with my expectations. It is essentially 6oz of cooked ground beef sealed in a vaccuum-package for long shelf life with no refrigeration. 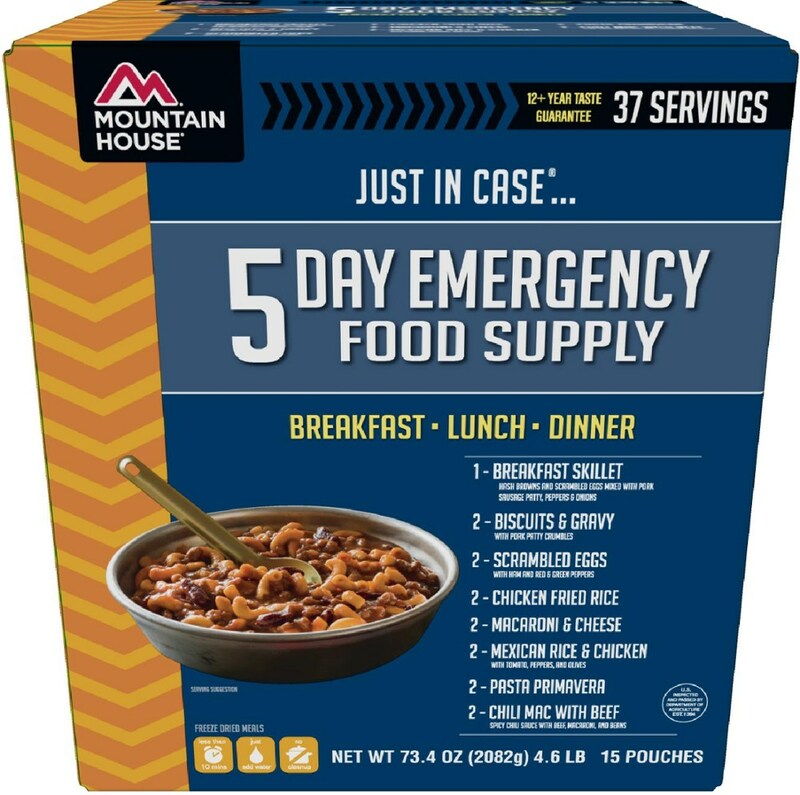 It is great for camping, backpacking, safety-rations, and/or quick-prep meat for spaghetti or tacos. I recommend this product however recommend purchase at a grocery outlet as it is a better value when purchased below the retail US$2 per unit price. Ideal for Camping, Backpacking, RVing, etc. This product is consistent with my expectations and I believe the reviewer to compared it to "catfood" was not objective in his review. To date, I have used 5 or 6 packages of this product, all from different production runs with different expiration dates. I have used some packages of this product up to 6 months past the expiration date. When opening the package and prior to heating as recommended on the package, you will find a square "block" that is admittedly not appealing. I would challenge the naysayer that if one was to cook a potion of fresh, lean ground beef and immediately seal the entire contents of the cooking pan into a food-saver bag, they would basically have the same result when taking it from the refrigerator a couple of weeks later. The contents will be a compressed block of greyish-brown crumbles. In contrast, if one preheats the bag in a pot of boiling water before opening OR opens the bag and cooks in the microwave for 60 seconds, and then empties the contents into a bowl, you will find the product to be consistent in texture and color to freshly cooked ground beef. The product is BLAND direct from the package. The term on the label "Seasoned" is a misnomer. The product seems to contain a minimum amount of salt. This is not necessarily a bad-thing; the product can be seasoned based on its intented use. The beef crumbles product works great in Spaghetti sauce or chili. Add plenty of spices to it and it is great for fast tacos or loaded nachos. The product normally sells for US$2 per 6oz package; while perhaps this is a fair price for being a pre-cooked, long shelf-life product, it is not competitive with DIYers who pre-cook ground beef and store in the freezer for later use. However, it is complement to vaccum-bagged tuna or chicken when camping, back-packing, RVing, or where food provisions need to be stored without refrigeration. I was able to find the product at a grocery outlet at US$1 per bag; at this price it is an excellent pantry staple. Not sure how opening a package and saying it smells like catfood is not "objective." Objectivity implies impartiality and a lack of bias. I had no bias going into my test. I was hungry, and it was suppose to be our dinner. But to each his own. Glad you enjoyed it. Trail Tacos beat chicken and mashed potatoes any day. Trail Tacos beat chicken and mashed potatoes any day. Yes, it does look pretty gross coming out of the package... the spicy version looks and tastes better. Add it to red beans and rice and enjoy an outstanding meal. Opens up way more recipe options. So tired of chicken and mashed potatoes and salmon and couscous. Been taking more dried beef or salami but dried beef gets expensive fast. Now granted you're not going to mistake this even for a McDonald's Burger, but after a few days on the trail, this is a great alternative. Love the spicy beef on a tortillas with a bit cheese and taco sauce. If you actually cook on the trail adding this to a red beans and rice recipe and along with some fresh bread or biscuits is just sublime after ramen and curry or some such typical trail meal. Or crumbled beef, a strip of bacon and a bit of cheese on a tortilla with a squeeze of packet BBQ sauce for a trail BBQ bacon burger . This has even replaced Spam in my pack as my emergency/replacement ration. I liked this very much, bought all Dollar store had. I liked this very much, bought all Dollar store had. Makes good tacos, and just right size for one person. Bring back to stores; can't find any. Tastes good, easy, yes, yes, yes,yes, all. Great, put more in stores. LOL! Everyone hates my review. Thanks for sharing your experience, Shirley! My son and I actually like this as a complimentary ingredient. Despite the appearance, my son and I like this stuff. We always mix it in with another ingredient. 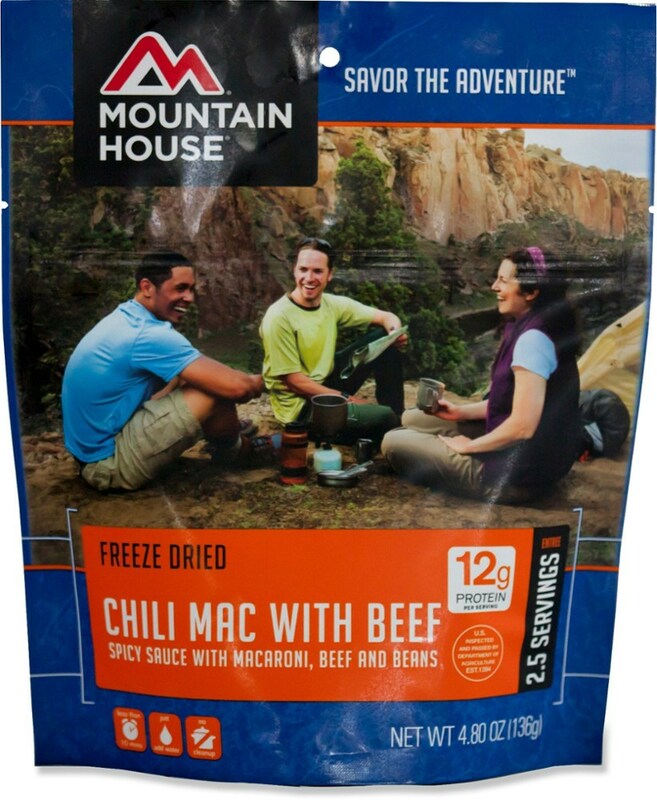 We will either mix in with our dehydrated re-fried beans and rice for making burritos, or we will mix it with bag of instant potatoes for a "hamburger casserole" recipe. We have never eaten this straight out of the bag. Does anyone eat crumbled hamburger as a main dish at home? All in all, my son has used this on several trips, and is currently planing on using it as an ingredient again. Welcome to Trailspace, George. Thanks for sharing your review of the Libby beef crumbles. The Libby's Seasoned Beef Crumbles is not available from the stores we monitor.